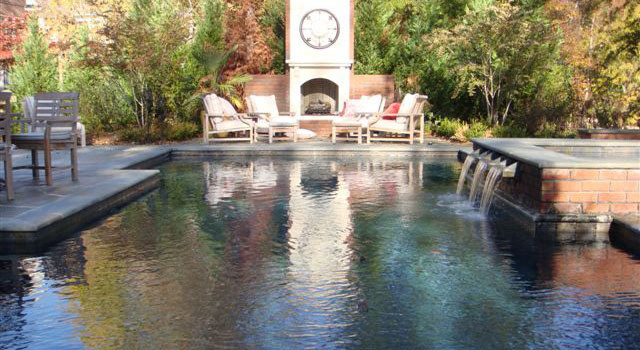 This rectangular pool measures 17’x34′ and ranges in depth from 3′ to 6′. 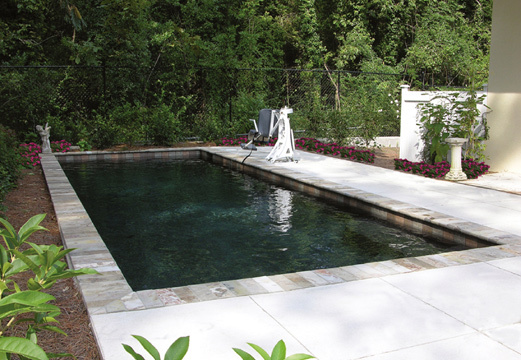 The plaster is Mother of Pearl – Dolphin Blue, the coping is poured concrete and the tile is Carrera by National Pool Tile. The deck is textured concrete. 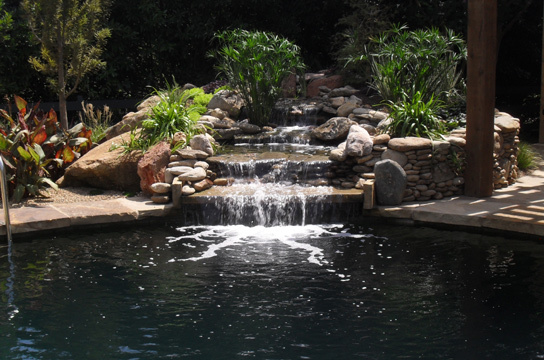 The 50-foot spa is raised with a spillover. Reference P-25.